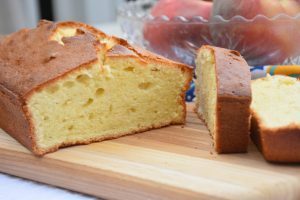 The pound cake arose, sometime in the 18th century, as a cake of simplicity—originally one pound of each ingredient, flour, butter, sugar, and eggs. As recipes do, of course this one evolved, using modern ingredients like leaveners and glazes and adjusted to more manageable sizes for a household. Bakers have also tinkered with the proportions to maximize flavor and create luscious texture. Today, we can find all manner of pound cakes, even Nutella and funfetti. But that’s not where I’m at here. I wanted a “go-to,” trusty, all-purpose recipe, one that came together without fuss and turned out something that was straightforward, moist, and rich with butter and vanilla flavor. I turned to recipe developers Mark Bittman and Rose Levy Beranbaum for ideas on what makes a good basic cake, and I’m thrilled with how this adaptation turns out. As a bonus, I start getting excited about this cake as soon as the batter comes together—it is simply beautiful, so thick and creamy it looks delicious enough to eat right out of the mixing bowl. Although nibbling still warm slices (which almost melt in your mouth) is pretty delightful, this cake is one that you can put into service as an accompaniment to everything from pastry creams to ice cream to fresh seasonal fruit. Sometimes you need a good, no-fuss pound cake that is creamy, buttery, and, when sliced and toasted, makes the ideal partner for mounds of the season’s best fruit. 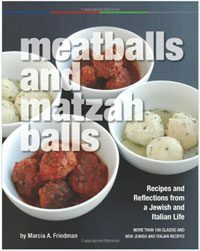 This is the one I use, adapted from recipes by Mark Bittman and Rose Levy Beranbaum. Note that if you are using a dark-colored loaf pan, reduce the heat to 325 degrees. In a medium bowl, lightly beat together the milk, eggs, and vanilla. In a large bowl, whisk together the flour, sugar, baking powder, salt, and nutmeg. Add the butter and half the egg mixture and beat with electric mixer on low speed until combined. Increase speed to high and beat one more minute. Scrape the sides of the bowl. Add half the remaining egg mixture and beat on high speed until thoroughly incorporated, about 20 seconds. Scrape the sides of the bowl and repeat with the last of the egg mixture. Pour the batter into the prepared loaf pan and smooth the top. Gently tap the pan on the counter. Bake for 45 to 60 minutes, until a toothpick or cake tester inserted in center comes out clean. Remove to a cooling rack for 5 minutes. Then invert the cake onto the rack, remove the pan, and turn the cake right side up on the rack to cool completely before slicing. Can be stored at room temperature loosely covered for a day.